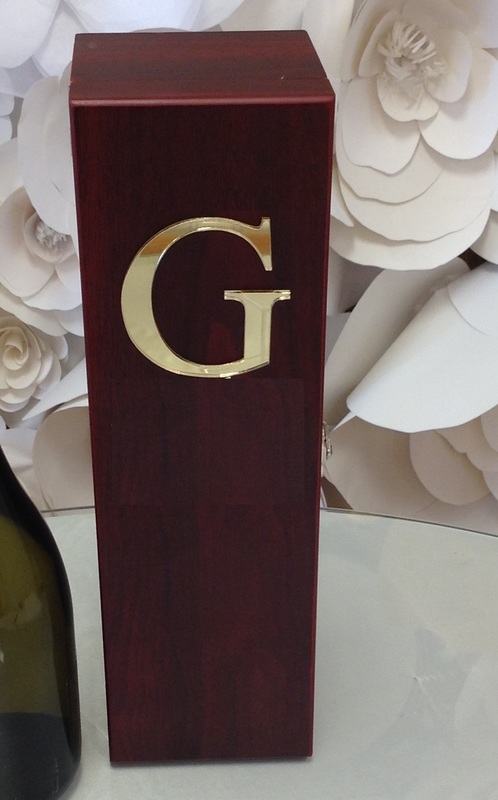 Personalize your wine box with your Name and Monogram Letter. Choose the vinyl color Gold or Sliver. 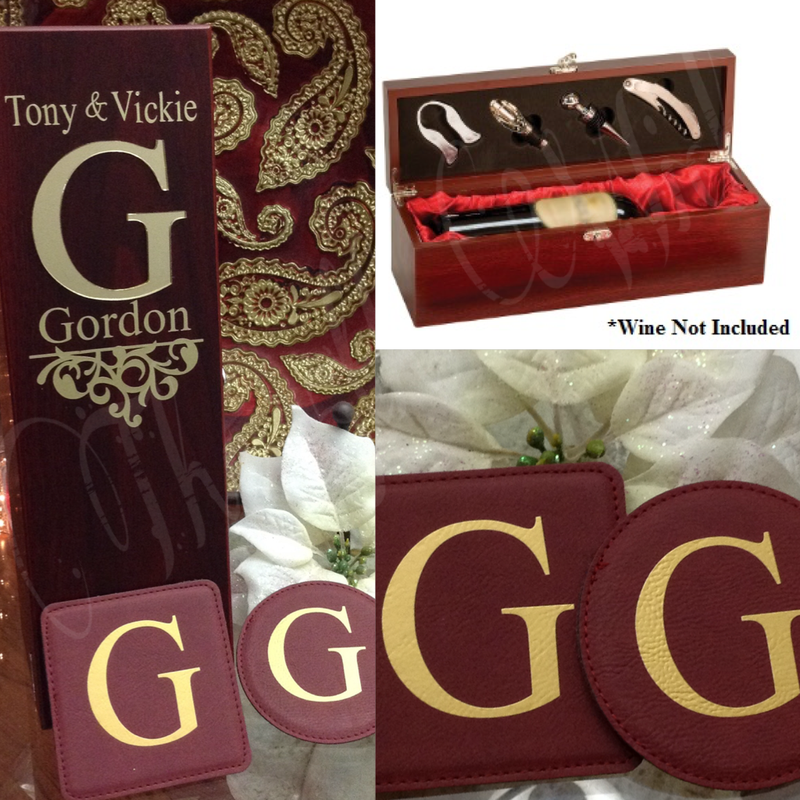 As a bonus you will receave two (2) Monogram Leather Costers Free with this order. They come in two shape of Round and Square. 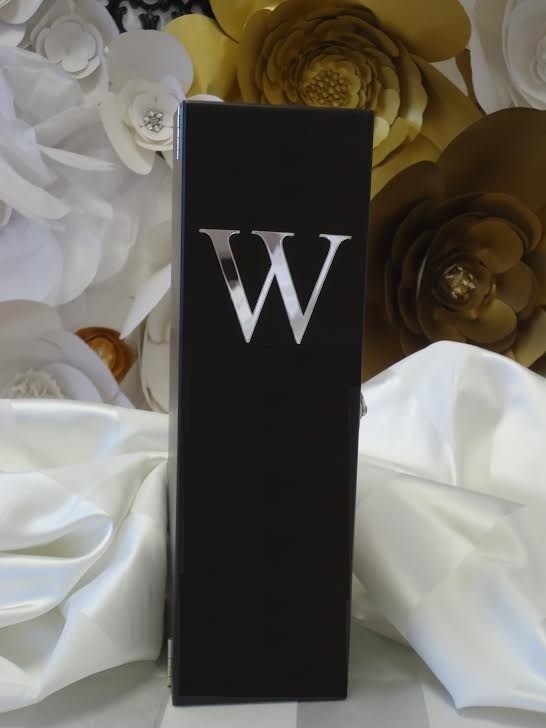 ﻿This amazing personalized monogram gift for any Housewarming, Anniversary Wedding or any Special occasion. The receiver is sure to love it. The monogram letter is make of mirror chrome vinyl. You have the choice of Gold or Sliver Mirror Vinyl. Foil cutter, Decanting Pourer, stopper and corkscrew. Monogram decals are a great way to add a personal touch to your. event. Our decals are make of a high quality removable vinyl. The decals will remove easily after your event. There are 3 Fonts. Brock Strip (Shown), Imprint Shadow and Block Font. and 4 vinyl colors (White Glass Shown, Metallic Silver, Black Gloss and Metallic Gold) for you to choose from.